“I feel very lucky…,” Kiadora Durocher, age 12, says about being able to attend Camp Chief Hector YMCA. “If I could, I would spend the entire summer there; there is no other place I want to be. Camp has really had an impact on how I see nature and how I see the world,” says Kiadora. 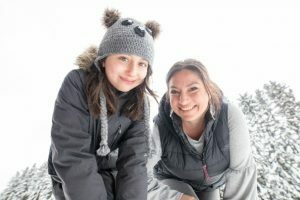 Kiadora’s mom, Kelly says she wouldn’t be able to afford to send Kiadora to camp without financial assistance made possible through YMCA Calgary’s Strong Kids Campaign. YMCA Calgary’s Strong Kids Campaign provides subsidy to children and youth like Kiadora so they can participate in programs in YMCA branches and at camp that help them belong, grow, thrive and lead in a caring community setting.